Dogs have lots of skills that make them great at jobs like herding animals, sniffing out drugs, and aiding search-and-rescue teams. 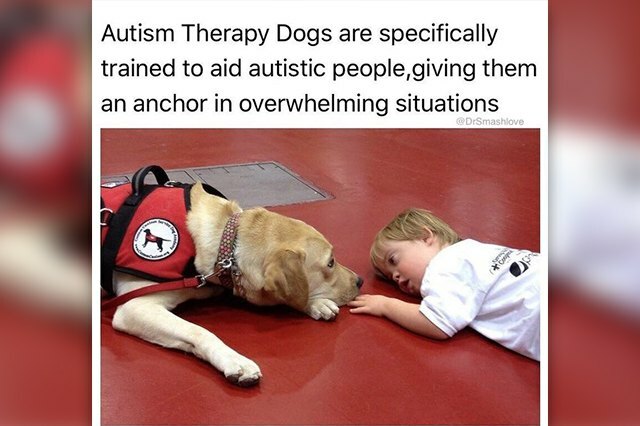 But one of the most important jobs a dog can do is to just be a dog and give people some dog-time. 1. 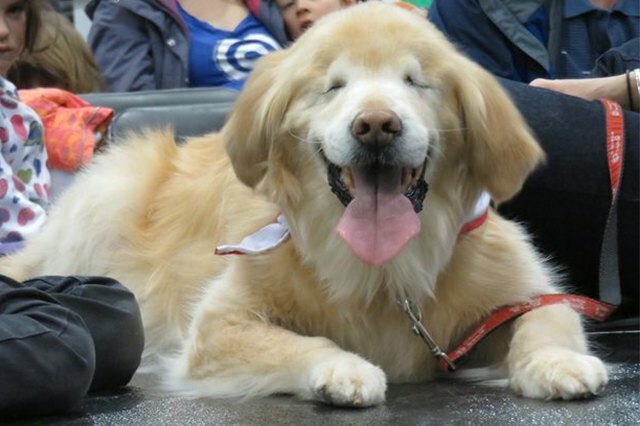 This is Smiley. He loves you. 2. 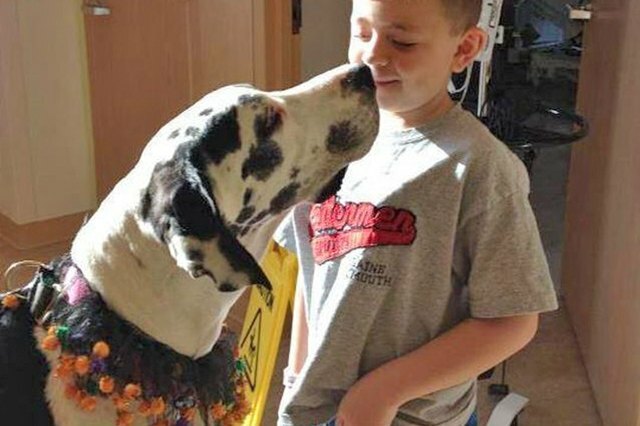 Dodi the Great Dane gives great kisses. 3. 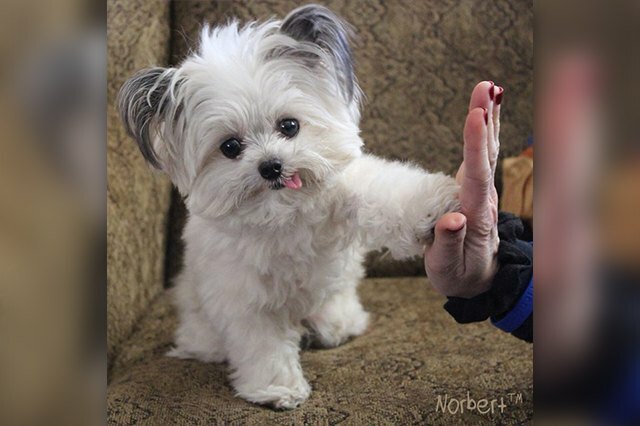 Norbert weighs 3 pounds, and he wants to give you a high five. 4. 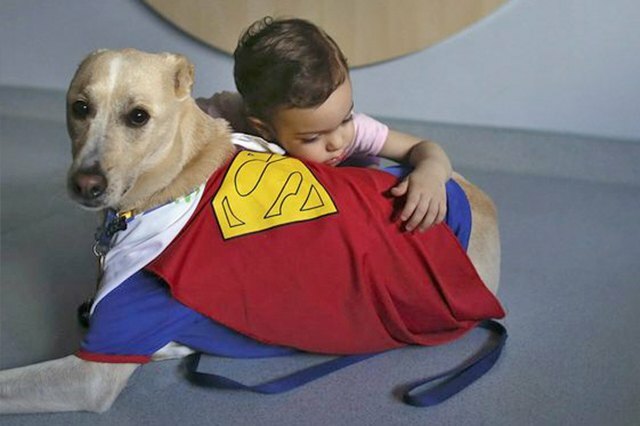 These dogs love their job (and you). 5. Not all heroes wear capes, but this one does. 6. Peaches loves to snuggle up for a good snooze. She also loves you. 7. 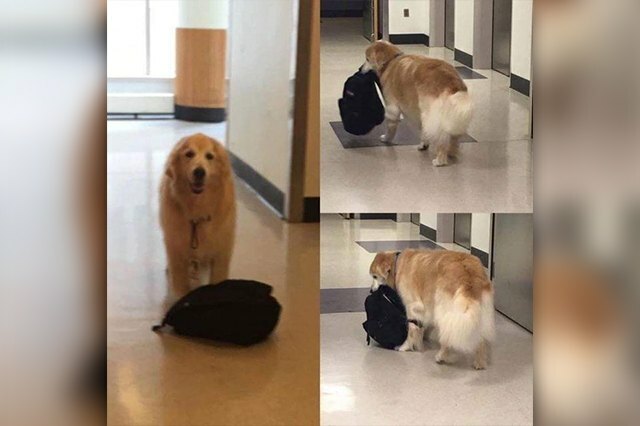 Eddie carries an important backpack full of toys for his patients. 8. Zeus knows exactly what you need right now. 9. 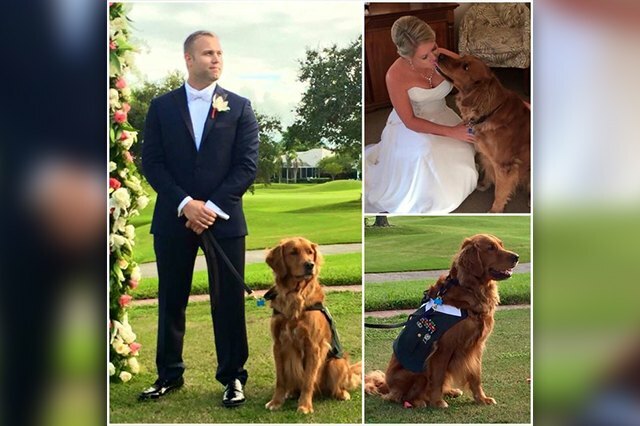 This therapy dog was the best man at his BFF's wedding. 10. 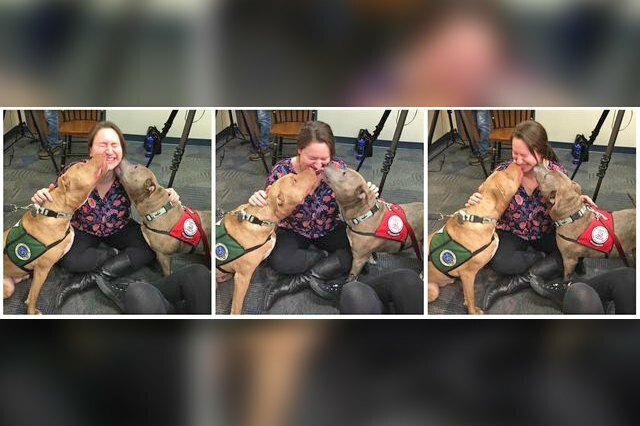 Pit bulls make great therapy dogs. 11. 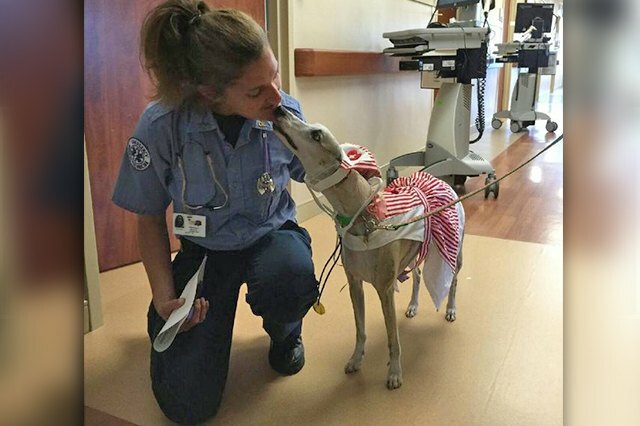 This therapy dog in a candy striper uniform is as sweet as can be. 12. 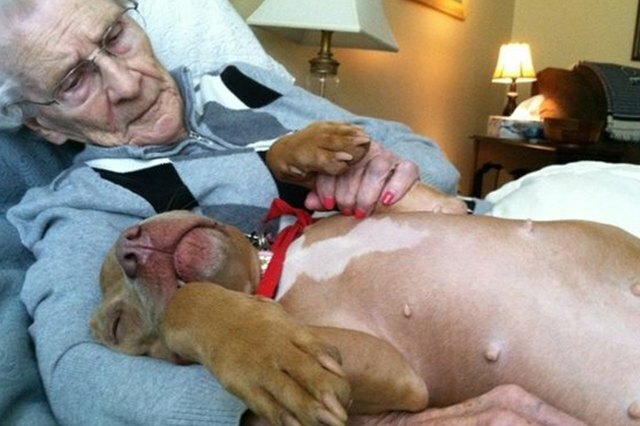 Seriously, what did we do to deserve dogs? 13. 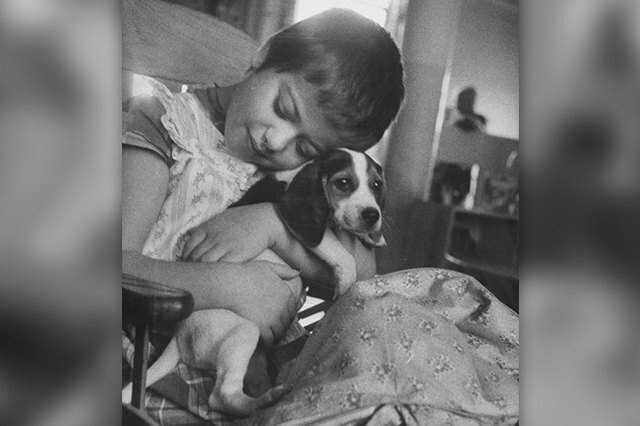 Did you know that therapy dogs date all the way back to the 1950s? 14. 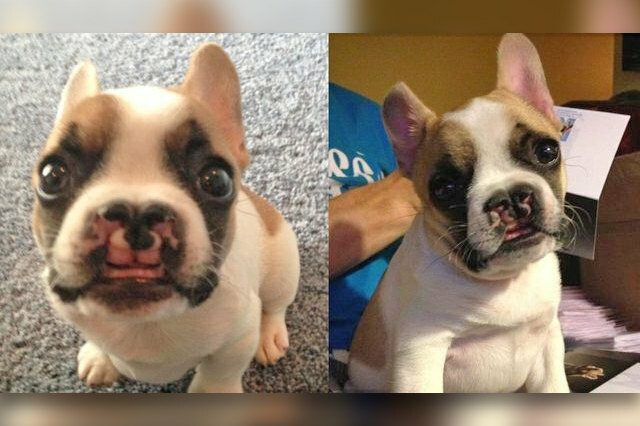 This dog with a cleft palette helps kids with facial abnormalities. 15. 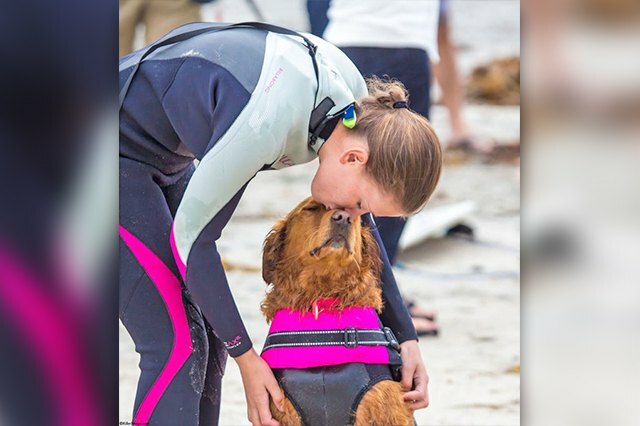 This dog surfs with people who have mental and physical disabilities. 16. 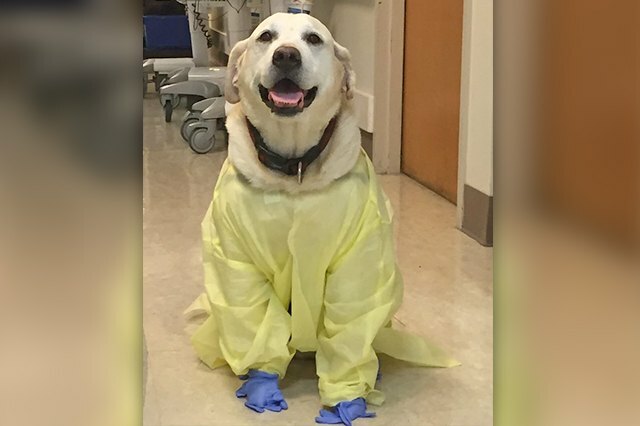 This dog is ready to visit a patient in an isolation room. 17. This is Ugly. 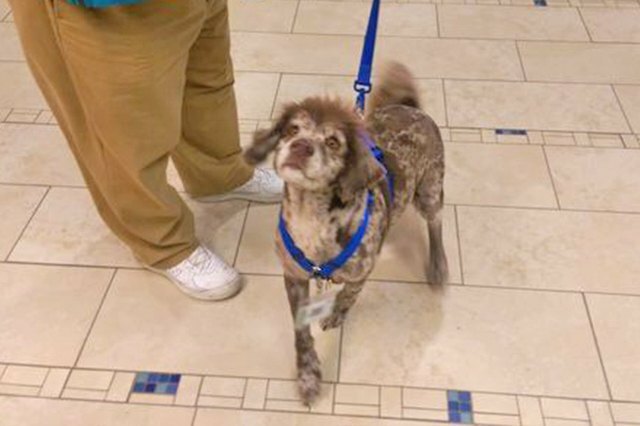 Ugly thinks you're beautiful, and he loves you. 18. It's fine if you need to grab some tissues. 19. 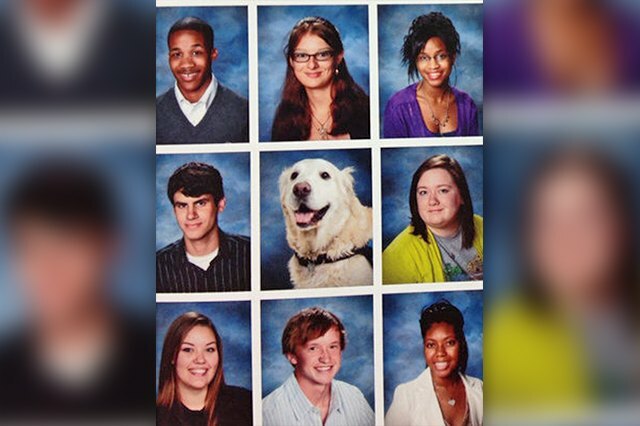 Hard working dogs get the credit they deserve in this yearbook. 20. 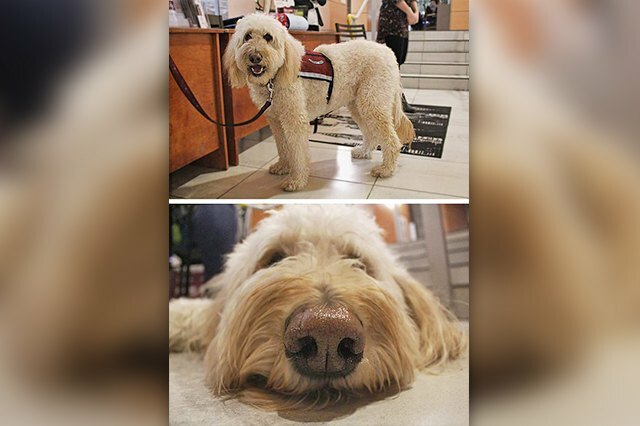 Lily presents to you a lovely snoot for therapeutic booping. 21. 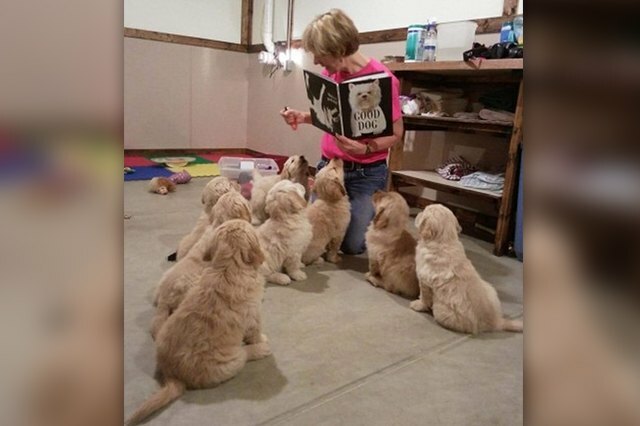 These therapy dogs-to-be still love you.